Rivière-du-Loup is a small city on the south bank of the St. Lawrence River in the Province of Québec. 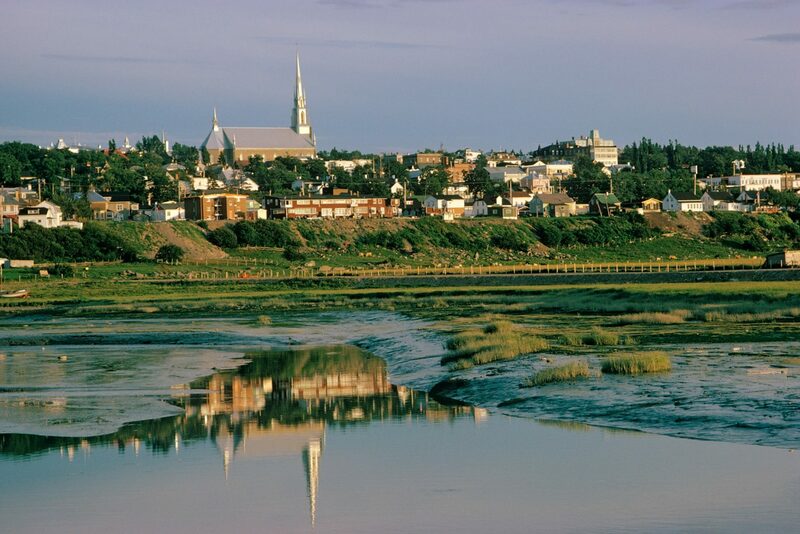 The city is the seat for the Rivière-du-Loup Regional County Municipality and the district of Kamouraska. It is located in the in the beautiful region of Bas-Saint-Laurent, 200 km east of the Québec/Lévis National Capital region. La Régie du logement is a specialized tribunal that has competence in residential lease matters. Rivière-du-Loup is located 435 km eastbound from Montréal City and 200 km eastbound from Québec City. It is accessible through some of the main highways: Highway 40E, on the north bank of St. Lawrence River (from Montréal to Québec city), Highway 20E, on the south bank of St. Lawrence River (from Montréal and Lévis), or taking the coastal route 132, also called Route des navigateurs. There is no major airport near Rivière-du-Loup, but you can transfer by bus, train or car from the airports of Montréal and Québec city. There is a train that connects Montréal and Québec City to Rivière-du-Loup. The Montreal-Halifax route travels through the bas Saint-Laurent region three times a week. The train station is located at 615 rue Lafontaine in Rivière-du-loup (888) 842-7245. There are some buses that are a connection Montréal and Québec City to Rivière-du-Loup every week. See following websites for more information. If you need to see a doctor, please go to medical clinics without appointment to get non-emergency medical care. Check the list of medical clinics in the following websites. Info-Santé 8-1-1 is a free and confidential telephone consultation service. Dialing 8-1-1 promptly puts you in contact with a nurse in case of a non-urgent health issue. The service is available 24 hours a day, 365 days a year. Anyone living in Québec can call Info-Santé 8-1-1 for themselves or a family member. The people of the Bas-Saint-Laurent region are very friendly. The beautiful landscape and the lively communities make it a very nice place to stay in the summer. Here are some websites that provide information on events and festivals and other interesting activities to do.